Woman and Nature draws from a vast and enthralling array of literary, scientific, and philosophical texts in order to explore the relationship between the denigration of women and the disregard for the Earth. 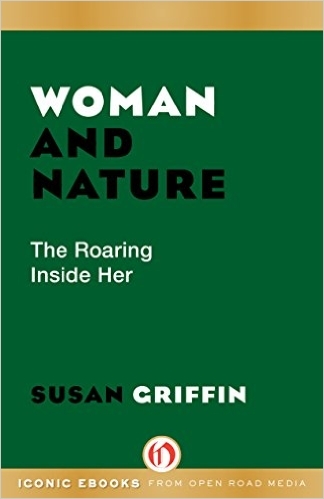 In this singular work of love, passion, rage, and beauty, Susan Griffin ingeniously blends history, feminist philosophy, and environmental concerns, employing her acclaimed poetic sensibilities to question the mores of Western society. Griffin touches upon subjects as diverse as witch hunts, strip mining, Freudian psychology, and the suppression of sexuality to decry a long-standing history of misogyny and environmental abuse. A sometimes aggravating, often inspiring, and always insightful literary collage, this remarkable volume offers sanity, poetry, intelligence, and illumination.